If we have thought about it at all, I think many of us have simply assumed that man, being rational, would respond logically to a changing environment. He would adapt himself to his environment simply because that was the sensible thing to do. But this is not the case. Social man reacts irrationally to radical change. Lewis was half right: man reacts irrationally to any change. At least, thatâ€™s the case if by irrational we mean non-self interested. And this is by and large a good thing. People in general act as if they are more concerned about distributive justice than personal gain (Guth & Tietz, 1990; Fehr & Gachter, 2000). Even a partial list of the pro-social behaviors that have been observed is monumental (Rankin, Bruning, & Timme, 1994; Hibbing & Theiss-Morse, 2001; Sanfey et al., 2003; Smith et al, 2004; Hibbing & Alford, 2004; Jervis, 2004; Larimer, Hannagan, and Smith, 2006). Yet not all cooperative behavior is desirable. The human trait of war (Muller, 1958) –coalitionary killing — is shared by our closest relatives, the chimpanzees (Wrangham, 1999), as well as with much smaller creatures (Lenski & Riley, 2002; Wilson & Holldobler, 2005). Among such species, cooperation among an in-group can lead to hostility towards outgroups (Sapolsky, 2006). Other forms of often undesirable cooperation exist as well (Wiley, 1988; Nowell & Laufer, 1997). 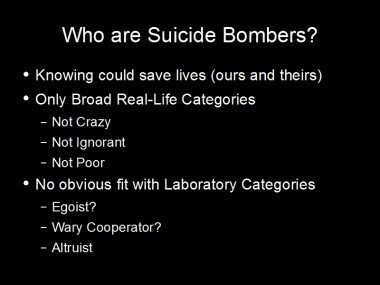 Suicide-bombing is a form of undesirable, altruistic cooperation. 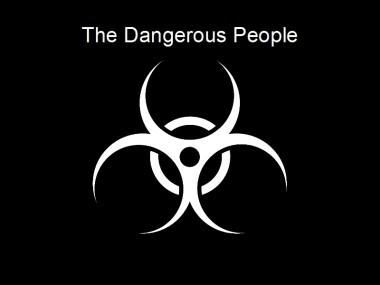 Terrorism and punishment are both purposeful violence (Butler, 2002) designed to change behavior. Altruistic punishment is a form of decentralized punishment (Orbell et al., 2004) which leads to cooperation over repeated encounters (Bender & Mookherjee, 1987). Such deterrence can be successful even when multiple, potentially hostile groups compose a population (Afri, 2000). Some scientific work hints at analogues in controlled settings. Punishment has been observed in the lab even when it will not improve the material or social condition of the punisher (Boyd, Gintis, Bowles, & Richardson, 2003). However, more must be done. Previous attempts to build a profile of suicide terrorism have failed (Sprinzak, 2000). The variety of environments in which suicide bombing is expressed (Ganguly, 1988; Keerawella & Samarajiva, 1995; Talmon, 2005; Wald, 1984; Weiss, 2001) seems to be matched only by the variety of potential explanations (Allen, 2002; Adoni, 1997; Ball, 2002; Borneman, 2001; Lorber, 2002). Yet regardless of how the issue is framed (see Jenkins 1986; Kerry 1997; Bush, 2002) the need to know how to deter such adversaries is clear (Jervis, 2002; Yoo, 2003). Currently, there are only a few agreed upon characteristics of terrorists. Most terrorists are male (Thompson, 2006), and they are generally well educated, generally well off, and feel humiliated (Atran, 2003). 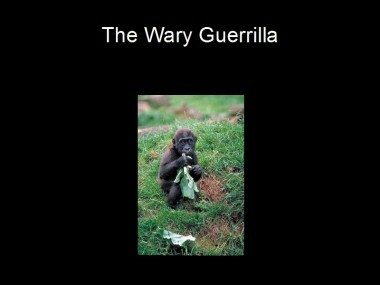 This paper proposes a â€œWary Guerrillaâ€ type that can be identified in the laboratory. This type acts more similarly to a suicide bomber, punishers more harshly, than any gameplay type previously identified. If the wary guerrilla is shown to exist, our knowledge of how to fight terrorism is advanced.